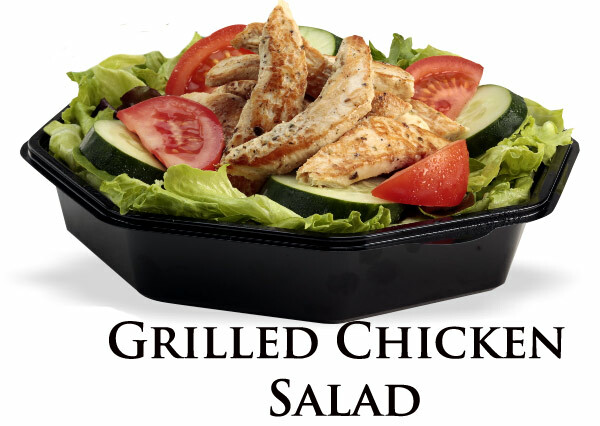 Our Chicken Salad (Grilled or Crispy) is lightly seasoned fresh chicken breast mixed with a perfect blend of mayo and seasonings. Served on our salad blend, tomato, cucumbers, your choice of dressing, and a side of crackers. Get your greens and protein in one meal! 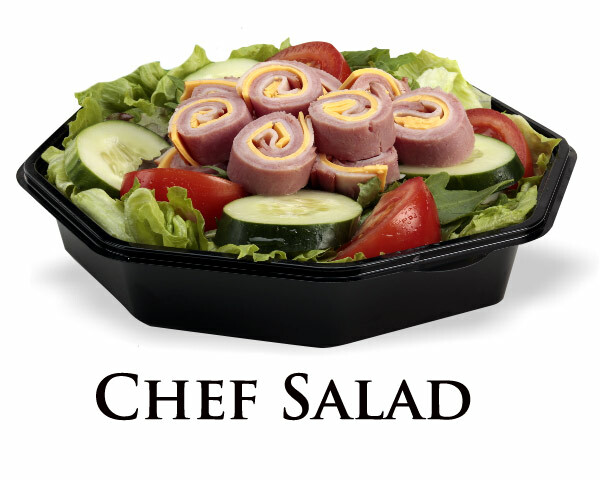 we start with iceberg lettuce, and a spring green mix, then top it with fresh turkey ham, american cheese, tomatoes, cucumbers, and your choice of dressing. Served with crackers if you would like to add in a little crunch. 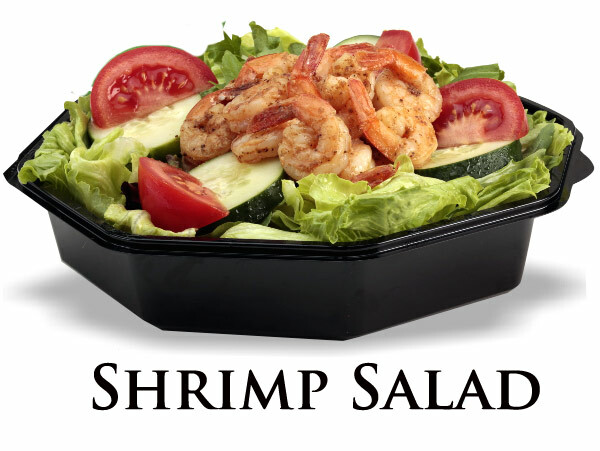 Butter poached shrimp are tossed in our zesty blackened seasoning, then placed on our lettuce and spring mix blend. Top it with tomatoes, cucumbers, american cheese, then drizzle on your favorite dressing for a unique salad. 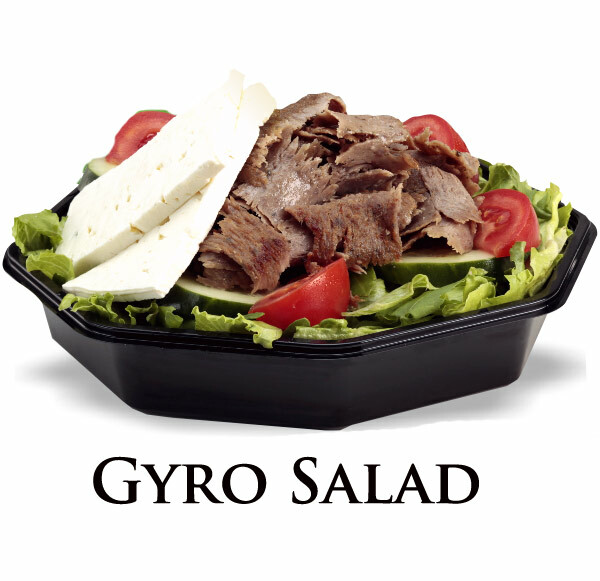 Our Famous Gyro Meat is the star of the show in this hearty salad! Our lettuce and spring mix is layered with juicy slices of gyro meat then topped with feta cheese, cucumbers, tomatoes, your choice of dressing and crackers. Our salads are as fresh as they come. They’ve made each day with only the freshest ingredients like our crisp blend of greens, red-ripe tomatoes, cucumbers, onions, and peppers. You may top it off with a selection of hearty meats, cheeses, and authentic toppings that will satisfy any appetite. We accept Call In Orders.